Golf Fundraiser by 15000 Inc. | 15000 Inc.
15000 Inc. held its first annual golf tournament on October 16, at Rooster Run Golf Course in Petaluma, CA. Thanks to everyone who came out for 15000 Inc’s “Not For Charity Golf Tournament.” For those of you who may not remember, a great time was had by all. While many who came out to play will not be playing professionally anytime soon, some very decent golf was played. It was nice to have everyone come out and keep business to a minimum and shenanigans to a maximum. They will be fishing out Frisbees from hole 12 for quite some time. A special shout out to Erika for putting the event together and making it such a success. 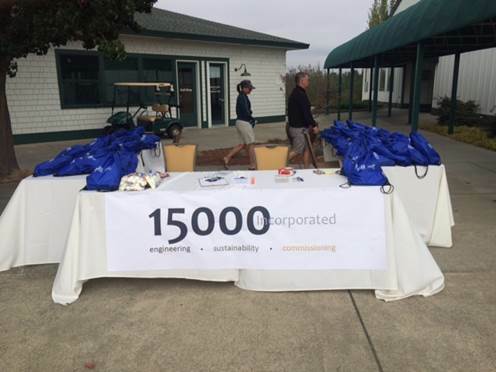 15000 Inc. looks forward to next year’s golf tournament and hopes to see everyone out there again. Although, not sure we will be allowed back to the same golf course. FOUR!! !